Free shipping within the USA on all individually-sold seed packets! Does not apply to seed sets or bulk sizes. 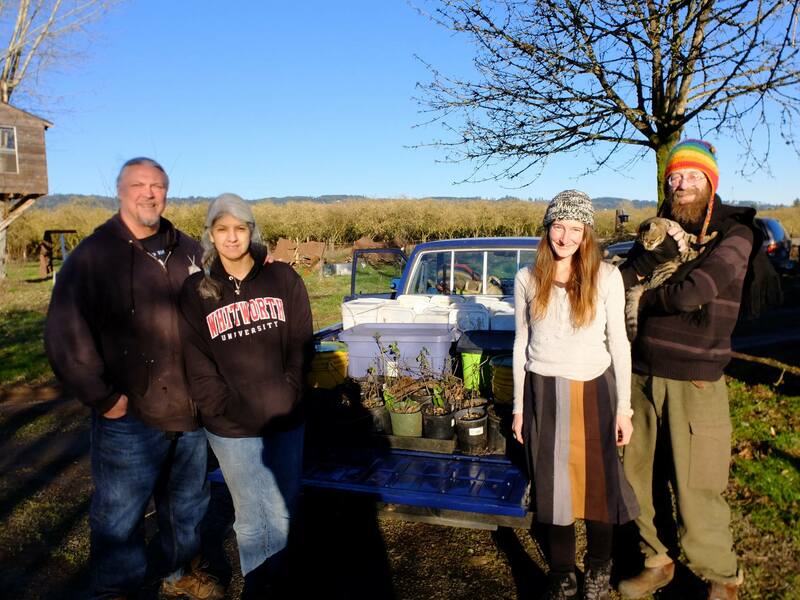 After five seasons as Portland, Oregon’s only seed company and only provider of farm-direct herbal medicines, Daggawalla has shut down. We have enjoyed providing high-quality, organic, GMO-free seeds and medicines to the hundreds of people who have been our customers. But we have given up what turned out to be a fruitless search for land to farm. Real estate is too expensive to buy for our own and land-owners are too difficult to cooperate with, when your goals and methods are as unconventional as ours are. That is, when money, “legitimacy” and capitalist “growth” are not your goals. Also, we both came to see how Agriculture itself is central to the crisis facing humanity today. If people want to live on the earth in a truly sustainable way, we’ll need to go further back than that. Patronize Daggawalla’s successor, Eloheh Seeds! Our seed collection has gone to a Native American couple in the Willamette Valley who will continue our same high standards. They are Edith and Randy Woodley at Eloheh Farm and you can purchase seeds from them here: elohehseeds.com. “We are Edith Woodley (Eastern Shoshone) and Randy Woodley (Keetoowah Cherokee) and we live in Newberg, Oregon’s production-driven Willamette Valley. Our 3.5 acre farm is an oasis of permaculture, bio-mimicry and Traditional Indigenous Knowledge in the midst of commodified grapes, filberts, etc. called Eloheh Farm. But we are much more than a farm, including a school and a living Native American community. Like everything else in our lives, this came together ‘organically.’ We have been planters for all 26 years of our marriage and have raised our four children on the food and medicine plants that we grew, including ancient seed from ours and other tribes. We decided long ago we would feed our own children ‘organically grown,’ non- GE, farm-direct, food grown from heritage and Open Pollinated seeds as time and finances would allow. Equal parts historical document, confessional memoir and social critique, this book tells the story of “Sunroot Gardens,” a bicycle-based urban farming operation that Kollibri founded and cultivated in Portland, Oregon, in the early 2000’s. 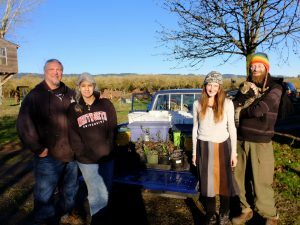 Made famous by the local media—including theWillamette Week, Sellwood Bee, Portland Monthly, KBOO,Oregonian and In Good Tilth—Sunroot Gardens blazed trails and pushed boundaries. The text is drawn from Kollibri’s voluminous writings at the time and has been supplemented with freshly composed narrative and commentary. 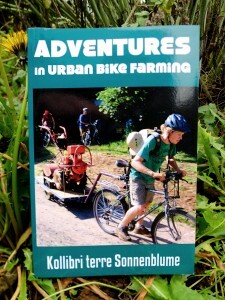 Check out Kollibri’s new book here. Everything you find here was organically-grown and harvested by us or sustainably-gathered in the wild by us. We also processed, tested and packaged everything ourselves. Other herbal merchants or seed-sellers are middlemen, buying from wholesalers or importers who in turn are procuring from still other sources, and the chain of responsibility can be labyrinthine and untraceable. Many herbs imported into the U.S. are irradiated! (Don’t worry, we don’t do that!) If you have any questions or concerns about Daggawalla seeds & plant medicines, we will have the answers ourselves because the buck stops with us. The best way to know what you’re getting is to go Farm-Direct! To learn more our farming practices and philosophies, go to About Us. GMO-Free – We have never grown GMO varieties, and have not farmed within range of GMO crops that would cross with ours. We are signatories of the Safe Seed Pledge. Open-Pollinated – None of our seeds are hybrids. That means you can grow them out for seed yourself and they will come back true-to-type. Become a seed saver! Organically-Grown – Though not certified, we have always followed the National Organic Program standards. We know that treating ourselves well and treating the earth well go hand-in-hand. Farm-Direct – grown by us, for you, with no middle-men. Check out cats, kittens & other critters on our YouTube channel!